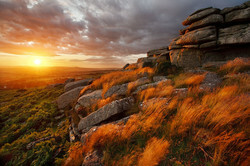 Our featured photographer this month is Alex Nail whose Dartmoor sunrises blew me away last year. 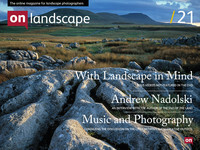 His crop of photography has been bountiful over the last year and we had a chat with him about the usual. I started out with digital compact and took the occasional landscape usually to record a view or sunset. I visited Australia when I was 17 and I was amazed by the work of a photographer called Peter Jarver. By that time I had read enough magazines to understand how to take a photo but seeing these images lit a fire inside me that has never gone out. I realised that if I worked hard enough I could reach the same standard, and that completely changed my outlook on photography. 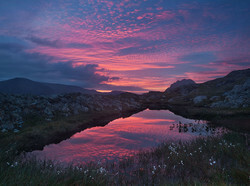 The second came when sat in the car with another photographer on the Isle of Skye. It had been a day of horrendous weather, but as we were going along the road the cloud started to break up and hints of rainbows emerged. Seeing a group of trees at the roadside I asked my friend to pull over as the rainbow formed. I ran through a boggy field as fast as I could, setting up my camera to perfectly frame the trees with the rainbow. As soon as I was properly set up the rainbow burst into unbelievably intense colour. That shot drives me to always try for the spectacular shot, even if an easier shot is guaranteed. Today I am found more often on mountaintops than down in the valleys. 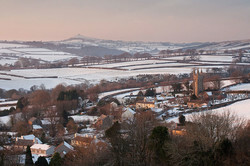 You work primarily in Dartmoor and Devon, locations that are very popular with ‘tourist’ photographers. 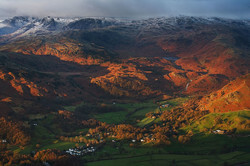 How do you differentiate yourself from the photographers who aren’t local to ‘your area’? 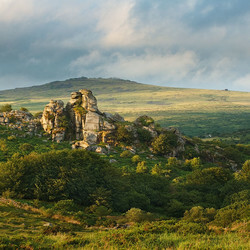 I have a detailed knowledge of the Dartmoor area within 2 hours walk from home and that certainly helps to create images. I try to work out what times of year and which weather conditions will suit a particular spot and I can then revisit the location until I am happy. With the exception of a few favourite places, I will actively try to avoid any established compositions and find new ones instead. I also push myself harder than many other photographers for whom it is more of a casual hobby. I have a 5DmkII, 17-40F4L, 70-200F4L and a 400mm 5.6L. 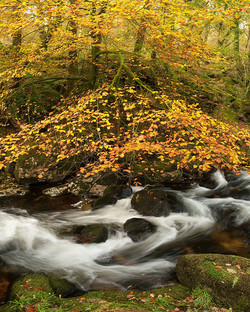 I also carry a 3-stop filter, polariser and tripod. My gear choice is solely based on the ability to capture an image I see, so in a sense, my lens choice doesn’t affect my photography at all! I don’t have any ‘fast’ lenses because of the weight penalty when hiking and for that reason, I sometimes leave the 400mm behind. You are another photographer who likes to camp out overnight - is this just for photography or is it something you would be doing anyway? and how do you while away the dark hours before sleep? Do you take a computer/ipad/whatever? I never liked camping before photography and it started as a way to be on location for sunrise, particularly before I could drive. Now I sometimes go camping for fun, although I never leave my camera gear. It is rare when I am camping that I get enough sleep, this is particularly true in the summer when the time between sunrise and sunset is so short. 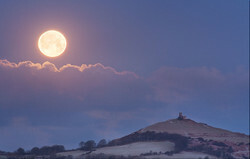 Even in the depths of winter, I find myself setting up well after sunset and I never sleep quite as well in the cold! Certainly, I have no plans to carry any more electronics around with me since my winter pack can weigh up to 20kg. 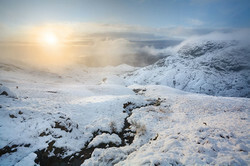 You take quite a few panoramic images, are these stitched or cropped and how do you visualise your compositions for panoramas (presuming they are planned as panoramas)? I used to stitch more than I do now. The resolution of the 5DmkII combined with the fact that I rarely sell prints above 30” means I just don’t see a significant benefit. 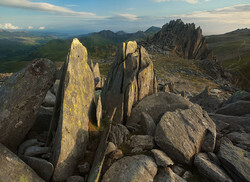 If an image requires an ultra wide view or warrants a higher resolution then I am more than happy to stitch. I frame wide panoramas with my hands first. It seems to give me a feel for the scene. Once I have picked my viewpoint I try to work out how to get the camera there. 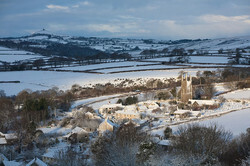 Occasionally if I am undecided how to frame the image I shoot oversize and crop the panorama later. The all time favourite is the previously mentioned rainbow on Skye. 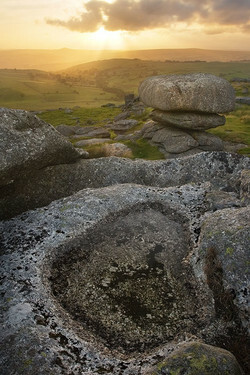 I also have a shot of Fur Tor on Dartmoor which I absolutely love. It was one of those times when everything just comes together. 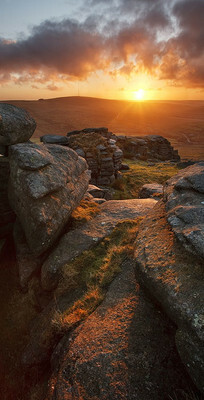 I went on a scouting mission to Fur Tor on a grey day and planned a composition with the sun setting down the Tavy valley. 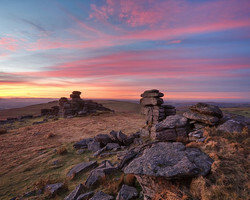 A few weeks later the sun was due to set just where I wanted it and the forecast predicted clouds over Dartmoor and a clear horizon. The drama which unfolded that evening was one of my best moments in photography. 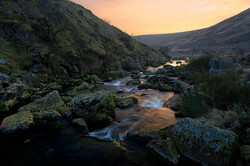 I now have a shot which sums up how spectacular and expansive the moor can be, taken at one of the most remote locations. 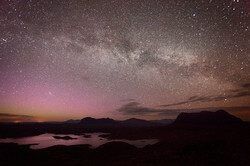 Currently, I am very fond of a shot taken at the top of Suilven just before dawn. It’s got a peaceful feel to it which seems to capture the experience of being there after a sleepless night worrying whether it was such a good idea to pitch my tent at the top of a mountain in a gale. In that sense, it’s a trophy as much as anything else! You mentioned taking a lot of your pictures whilst you were studying at Bristol University (or obviously not studying!). Do you miss the freedom of having the time to do photography and how do you make the time for photography now? Yes, I miss it hugely. I often hear about all the good weather I am missing from photographers I know, but my life as an engineer leaves me with just weekends and 5 weeks of holiday. I have started planning my photography trips quite carefully and since I have been working I have found this really helpful. I take fewer shots now than I used to but my success rate is far higher. 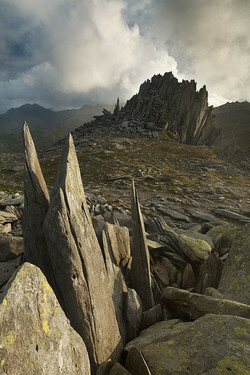 You also lead photography workshops, and I particularly like the idea of your wild camping workshops. Tell me a little bit more about this particular workshop and what you think people will gain from attending? 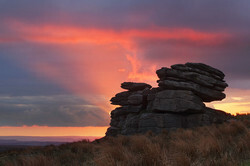 The wild camping workshop is an overnighter on Dartmoor with all camping equipment provided. It’s not a night at the Ritz but whoever comes will be warm and the bedroom view will be sensational. A large amount of my enjoyment in photography now is a love of the outdoors and that is an important thing to have as a landscape photographer. Camping gives a connection with the natural world that is completely different to anything else. There is a difficult balance between earning money through your photography and being restricted in what you can do and be earning money in a ‘normal’ career and creating the space and budget to allow you to do what you like in your spare time. Which way do you think you are heading and why? In the short term, I certainly feel that my job as an engineer is rewarding and I do worry about the solitude of landscape photography as a long term career. That said I do try to advance my photography in my spare time, in both artistic and business aspects. Time for trips is now much more of an issue than money, a complete change from my student days. Becoming a professional photographer is something I may well do one day, but at the moment I am quite happy. I am also fully aware that it would be a big jump to even earn enough to live off if I did ‘go pro’. In general I import my images into Lightroom, change the colour profile, add a bit of saturation, and use simulated gradient masks to control exposure. 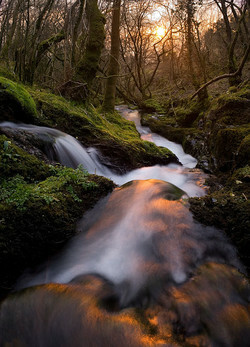 I then move into Photoshop, clone out any dust or flare and make final adjustments to exposure and contrast using curves. 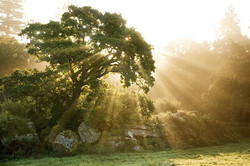 I will often eliminate light fall off or any optical effect that I did not experience myself. 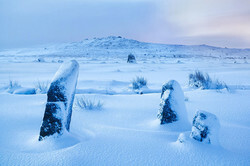 I also exposure blend, focus bracket and panorama stitch, often in combination. That’s when things get a little bit trickier. Lightroom does the initial work but I can then spend a long time in Photoshop trying to realistically blend my images using layer masks, which I think I am now quite competent at. Realism is hugely important to me and the balance between impact, emotion and realism is a difficult one to find. 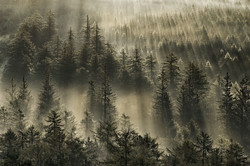 I have printed every single image in my portfolio at one time or another, usually to 18x12. I get a huge amount of pleasure from seeing a print. The tastes for my own work often change, so they rarely end up on the wall, however. 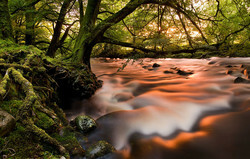 I print through Peak Imaging and recently though The Print Space, who both do a fantastic job as far as I am concerned. David Ward (read David Ward articles) blows my mind! I literally have no idea how he finds his images. For me, he shows creativity on a different level and constantly has me thinking that I need to open my eyes more. I also love reading his books and blogs, his thoughts have helped to clarify my own. 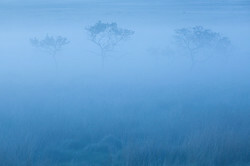 Of the American photographers, my favourites are Nate Zeman and Floris Van Breugal, both young guys, who manage to express a strong connection to nature in their shots which my images sometimes miss. Another young photographer worth a mention is South African Hougaard Malan, who certainly leans on the side of the spectacular. While I know some photographers criticise the ‘eye candy’ approach, I get an enormous amount of pleasure from spectacular lighting and Hougaard certainly has had his fair share! Recently I have come to realise that I am constraining myself too heavily on preconceptions of what makes a good image. While I believe that understanding produces great results I am undoubtedly missing out on other opportunities, particular outside the hours of sunrise and sunset. I am happy with the slow way I feel my style naturally changing and I certainly won’t be actively trying to alter my style. One goal I do have is to push myself further and harder. In particular, I want to camp out and take on Scottish mountaintops in the winter, so if there’s someone reading who has done it before get in touch!